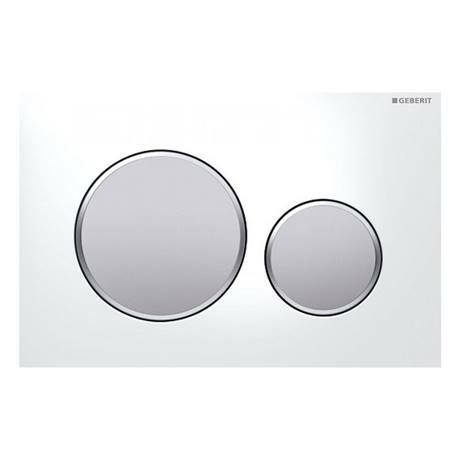 The Sigma 20 range of Flush plates is designed and Manufactured by Geberit. The Sigma 20 range is designed to be used with the Geberit UP320 and UP720 concealed Cisterns as do all Sigma series flush plates. The flush plate is the only visible part of the Geberit Duofix frame once installed. With a variety of styles, finishes and colours the Geberit flush plate range can compliment any modern bathroom design. For use with the Geberit UP320 + UP720 concealed Cisterns.